1. Aromatic slippers that’ll keep her toes nice and toasty. 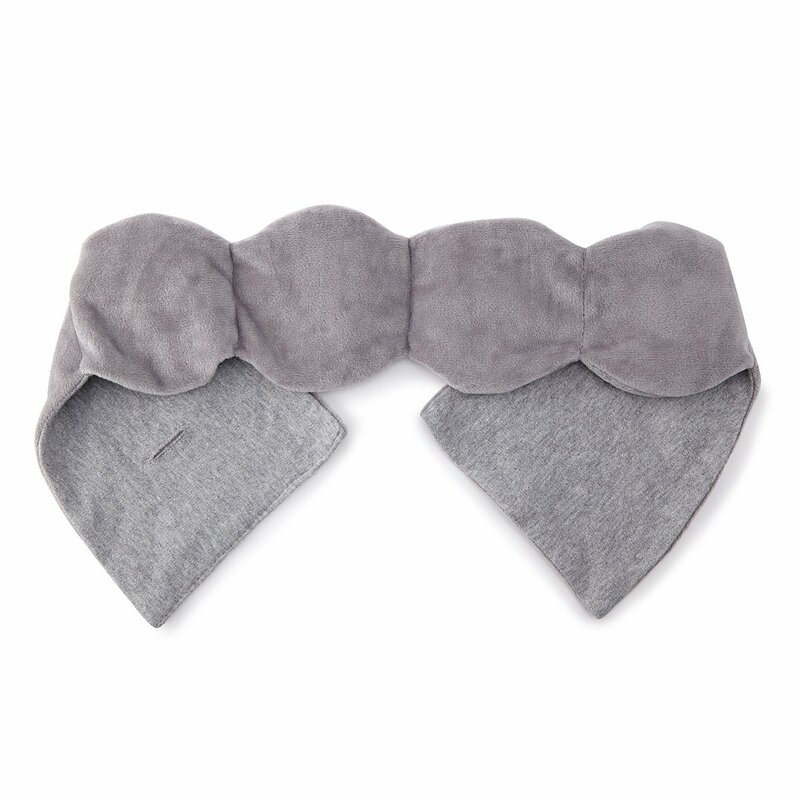 Just pop these plush slippers into the microwave to enjoy the cozy goodness—and to activate the lavender inside. 2. 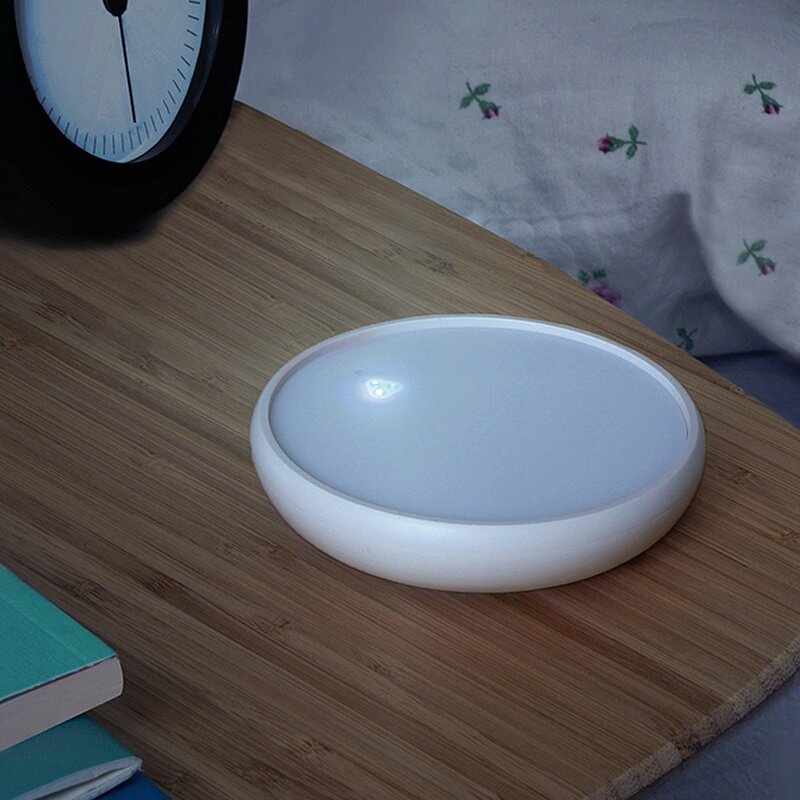 A calming bedside light that leads to sweeter dreams. Inhale as the light fills the room, exhale as it shrinks away, and drift into deep, restorative rest. 3. 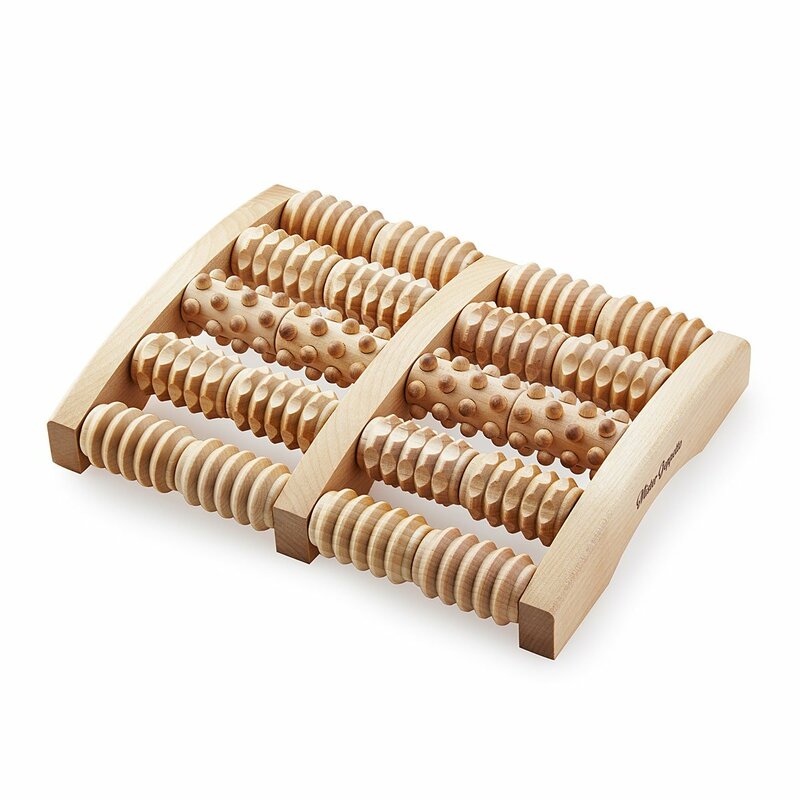 A simply heavenly handmade foot massager. Who’s not in a better mood after a quality foot massage? 4. This tension-taming device, made based on ancient wisdom. Do like the Daoists and squeeze this common pressure point—it’ll provide instant relief from headaches, back pain, and more. 5. A water bottle turned handy hydration guide. Help her hit those daily H2O goals. 6. Globally sourced stones with an affirmation to keep her going. “I will persist until I succeed,” is just the kind of message she’ll want to be reminded of each day. 7. 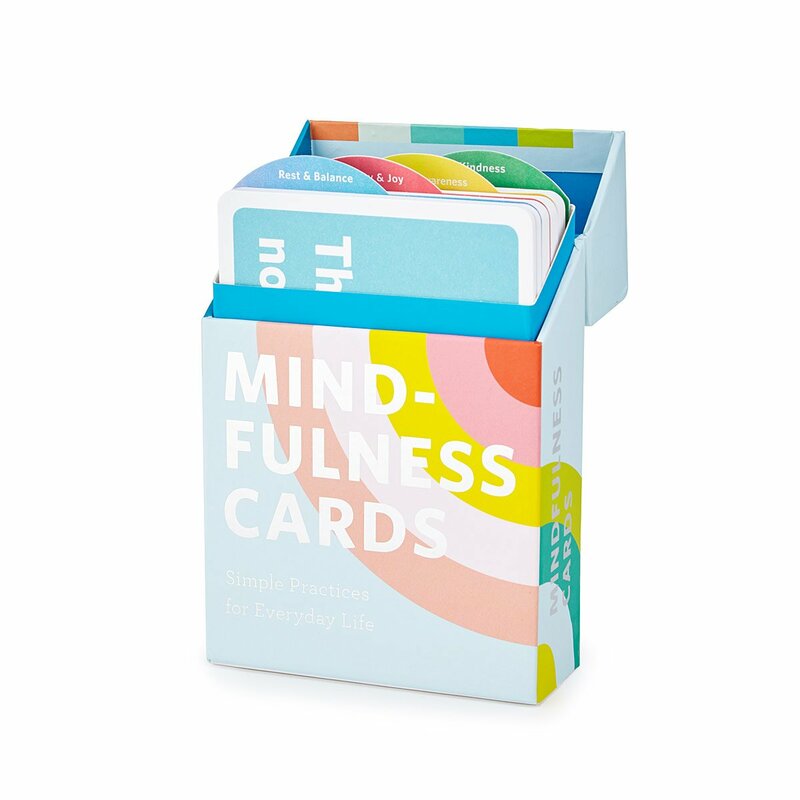 Prompts to bolster her mindfulness practice. It only takes a minute to take a card and reflect on it, but the lessons learned will stick with her forever. 8.An anxiety-quelling accessory inspired by ancient Japanese breathing techniques. 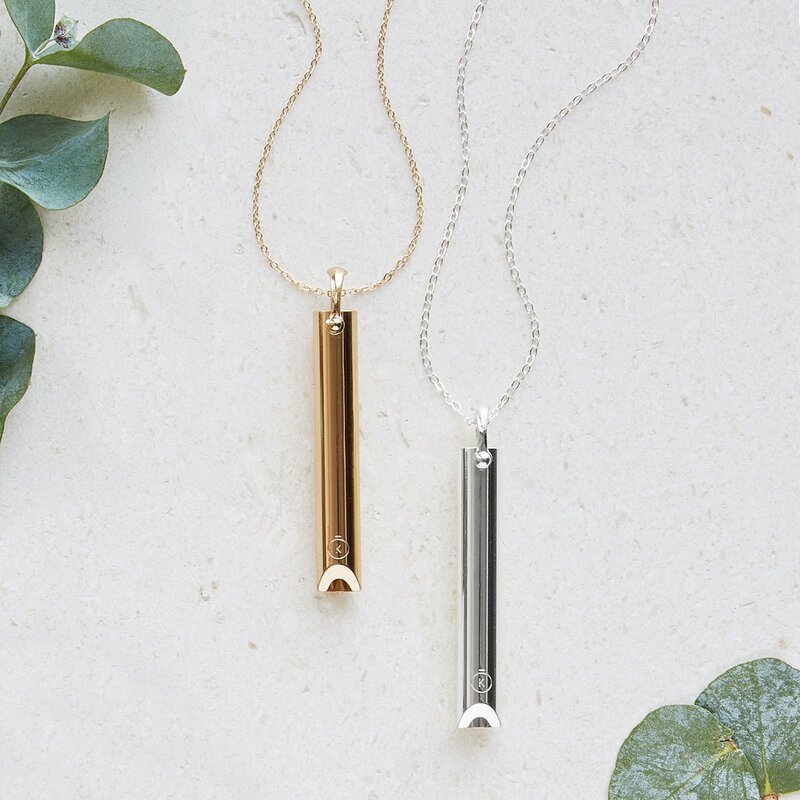 Simply exhale through the pendant and feel the relaxation set in. 9. Speakers to enhance her meditation practice. A trip to a Tibetan temple might be nice—but you could also let her relax at home using speakers with soothing, three-minute-long tones. 10. The key to a satisfying snooze. 11. A handmade bracelet that’ll keep her personal wish close by. 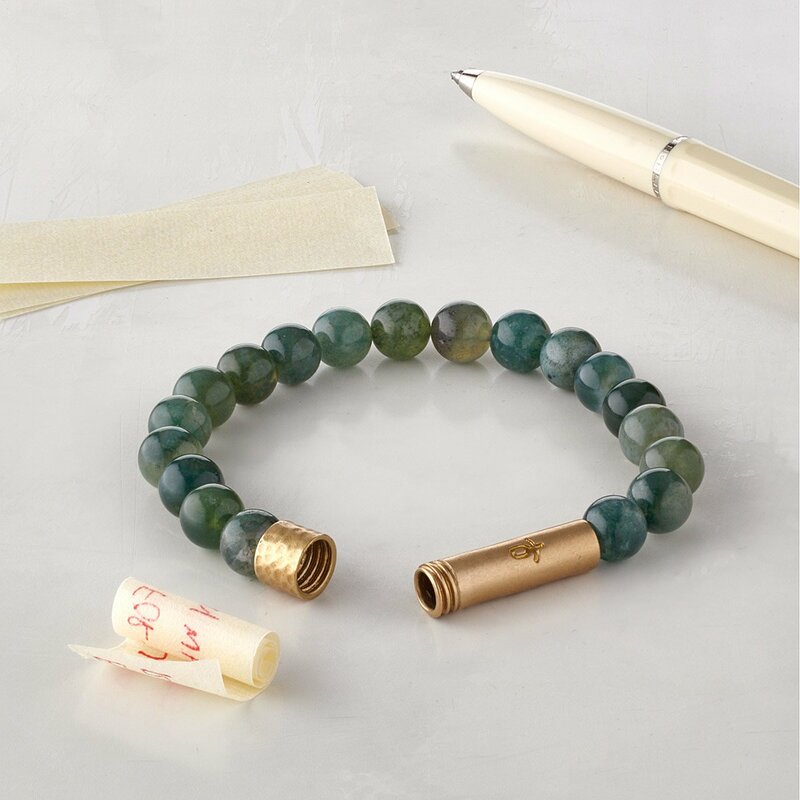 Write down the intention, slip it into the clasp, and you’ve got a daily reminder to make it come true. 12. 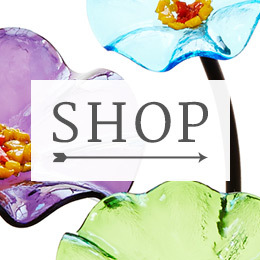 Diffusers that’ll take her to another place. 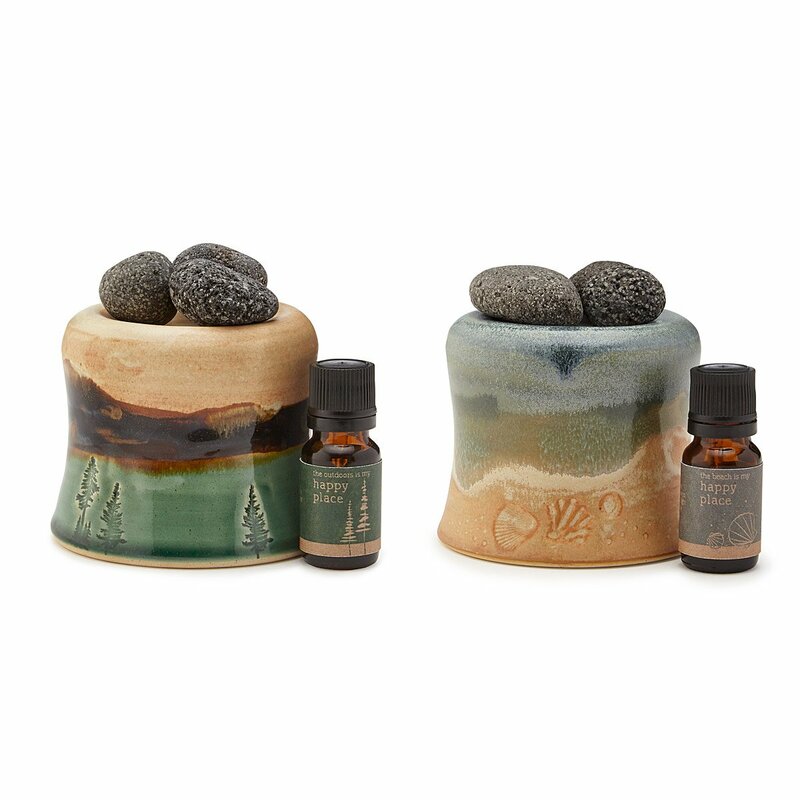 Whether she likes to recharge up in the mountains or down by the sea, these scented diffusers are like a breath of fresh air. 13. 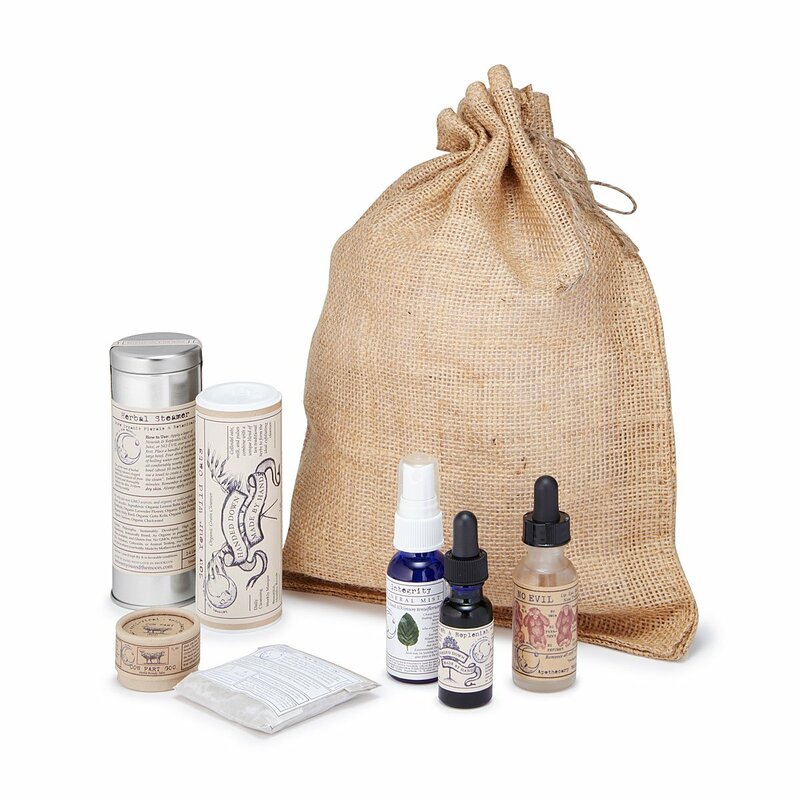 A sustainable skincare set that’ll totally refresh her routine. Only the best organic ingredients for your wellness-loving friend. 14. 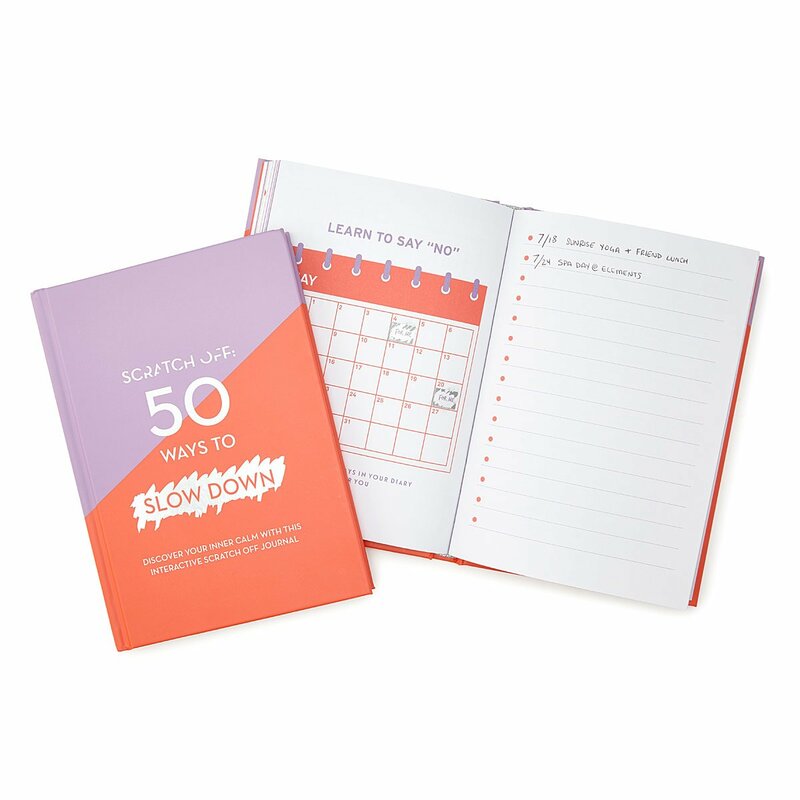 An interactive journal that encourages positive thinking. 50 activities to help her slow down and find peaceful moments during the daily grind. 15. Tablets that turn showering into a spa-like experience. Think beyond the bath bomb. 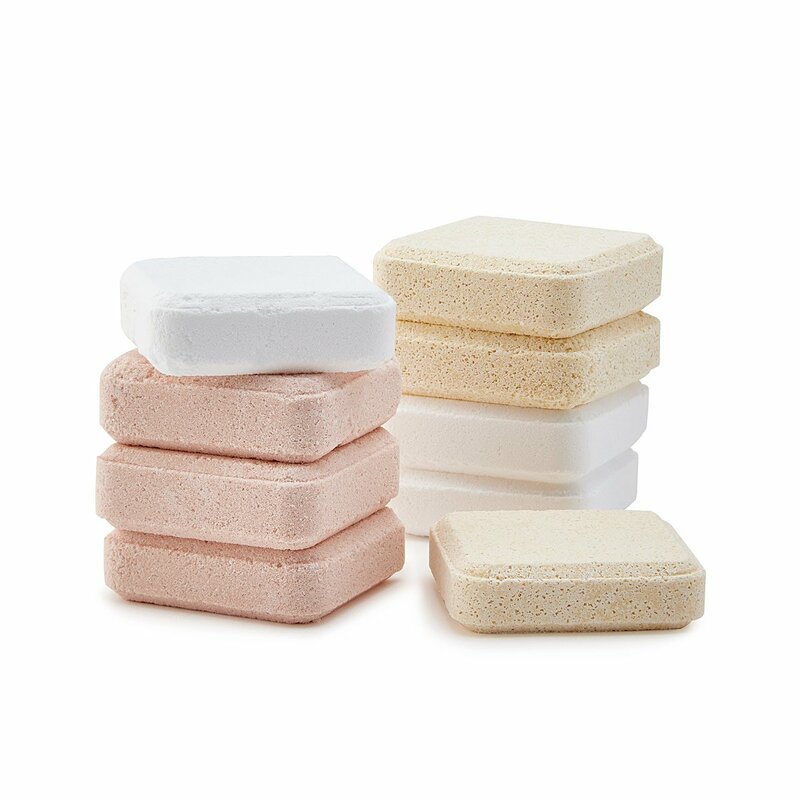 These fizzy tablets will fill up her bathroom with the calming scents of essential oils. 16. A true wonder wheel: yoga edition. 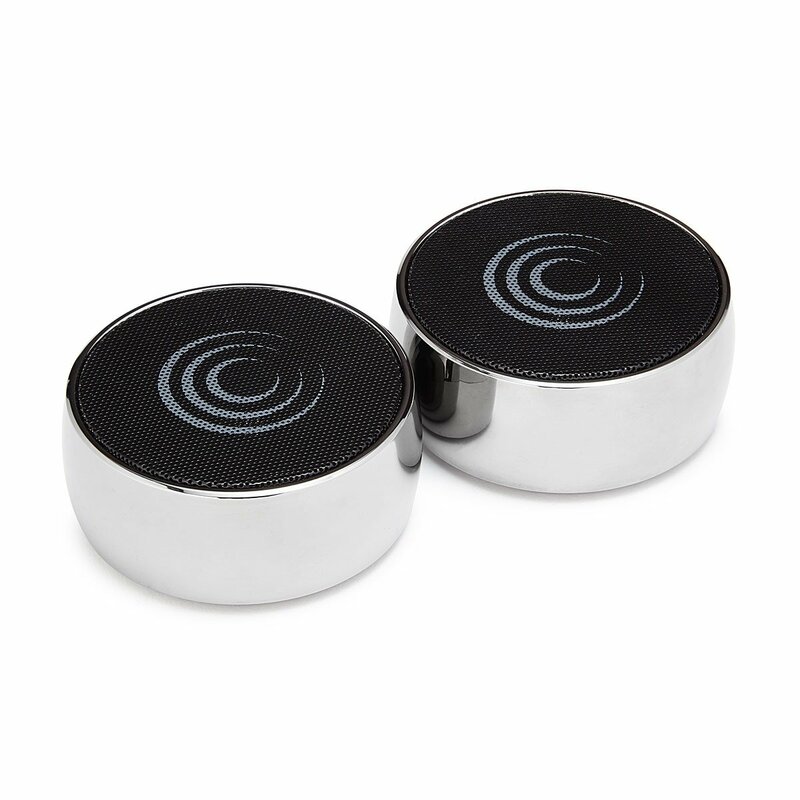 This cork-backed wheel is made to massage sore muscles, strengthen the core, and ultimately, advance that yoga practice. 17. 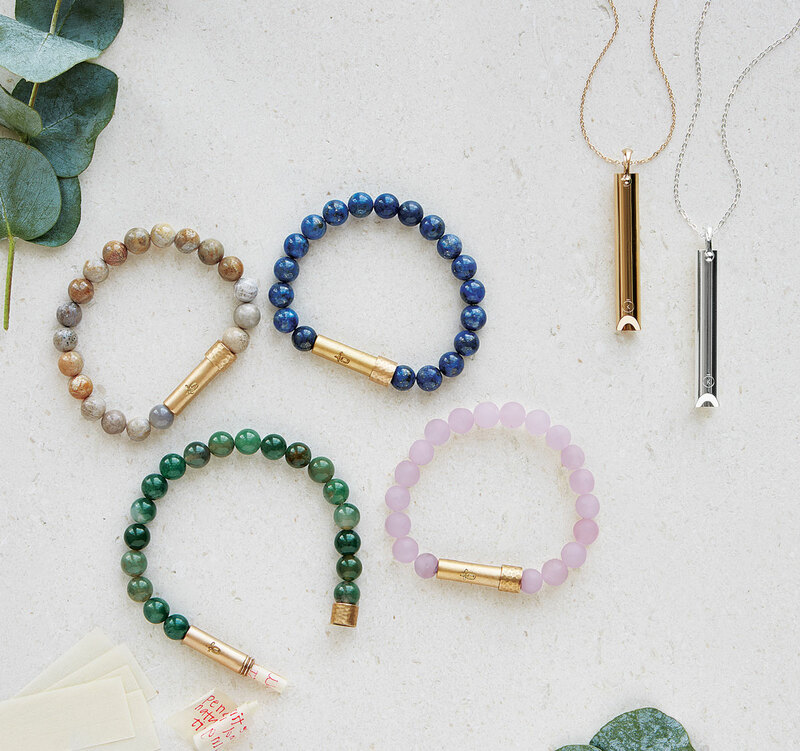 A new way to bring balance to her life. 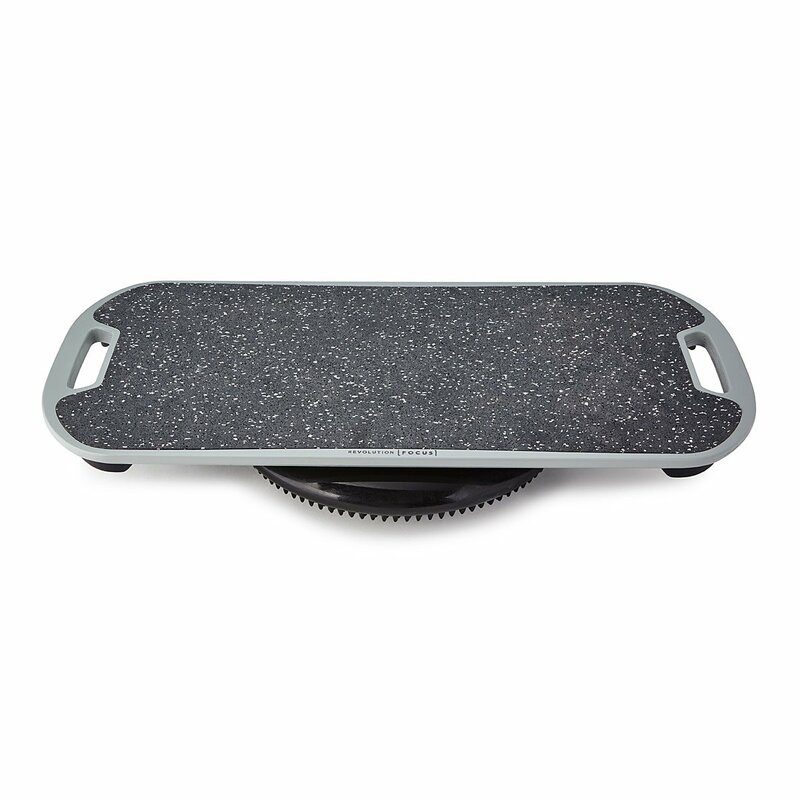 Maybe she’s already upgraded to a standing desk, but a balance board to help her exercise at work? That’s like wellness-ception. 18. 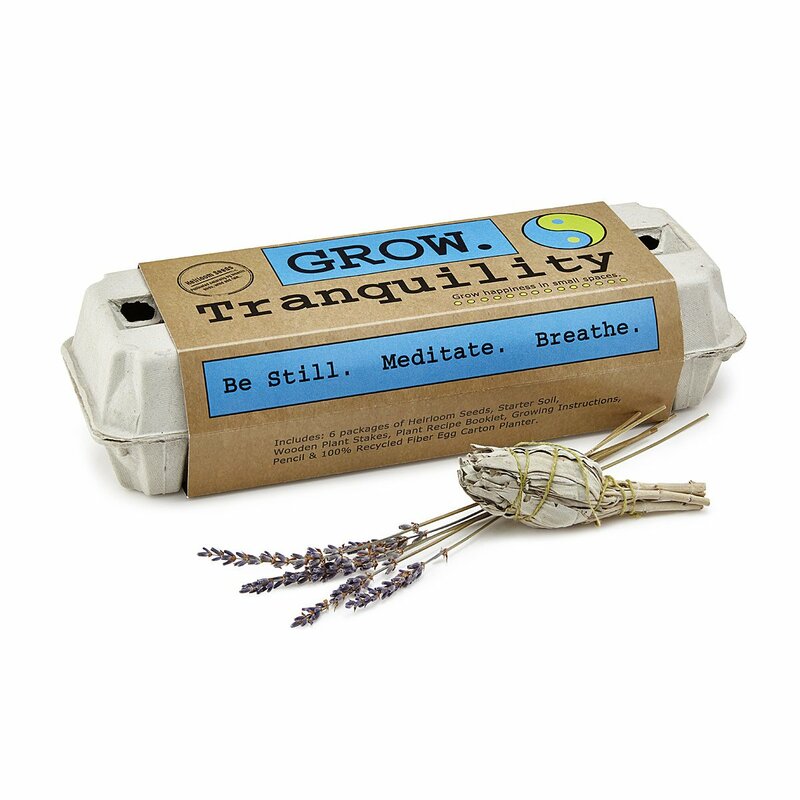 A starter kit for her own zen garden. With seeds for chamomile, peppermint, lavender, and more inside, expect to get invited over for a truly delicious cup of tea. 19. 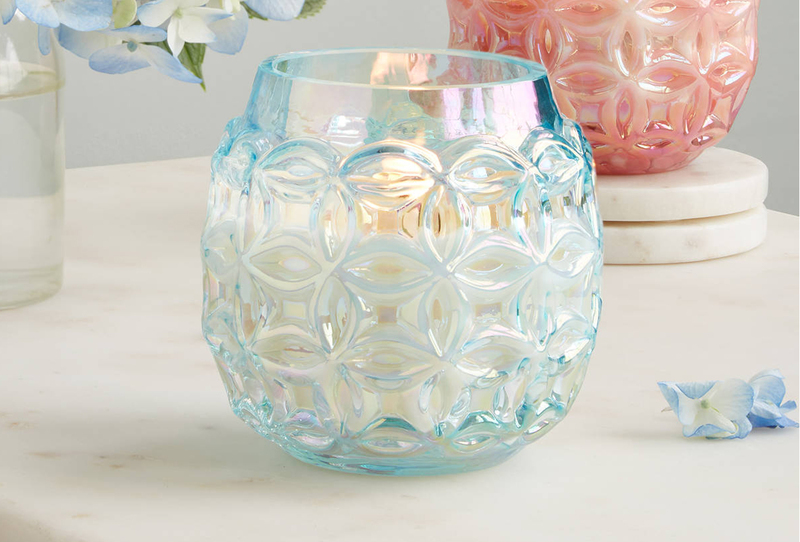 Candles that come with meaningful mantras. 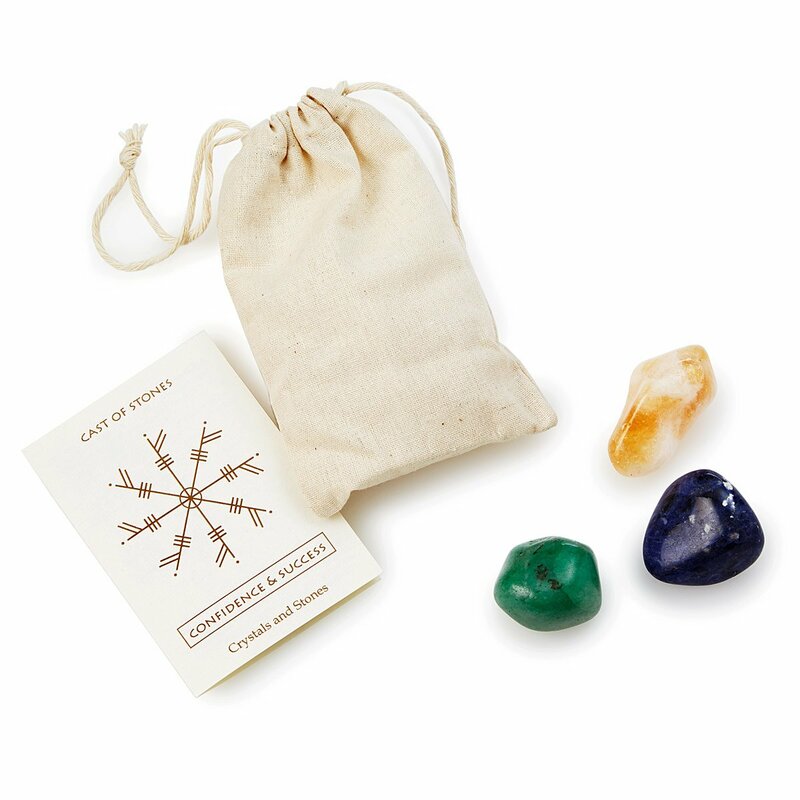 A zen trifecta: essential oils, gemstones and affirmations printed on each. 20. 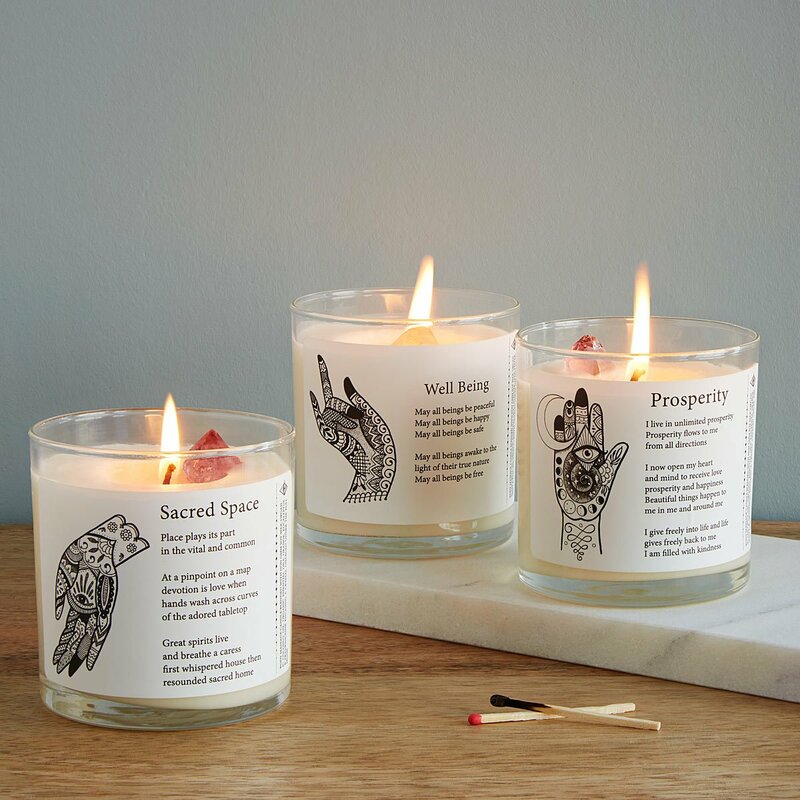 Energy-shifting smudge sticks to burn at home. 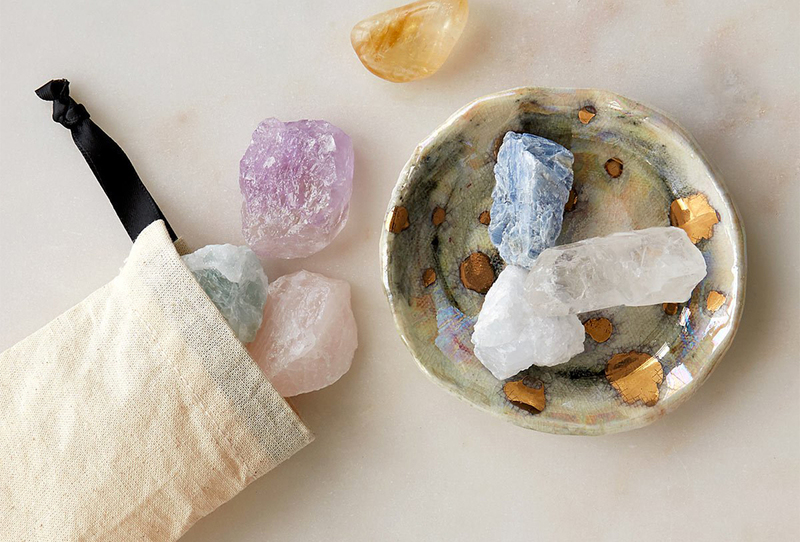 Help her cleanse her space with the unique pine-y, mint-ish scented palo santo. 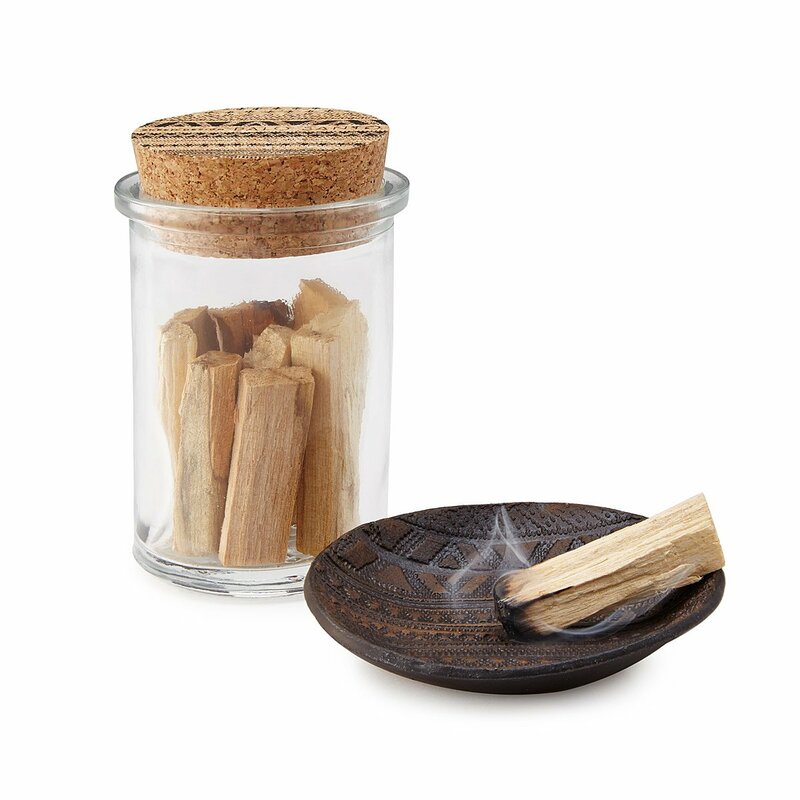 It’s often called “holy wood,” believed to bring positive energy wherever it’s burned.